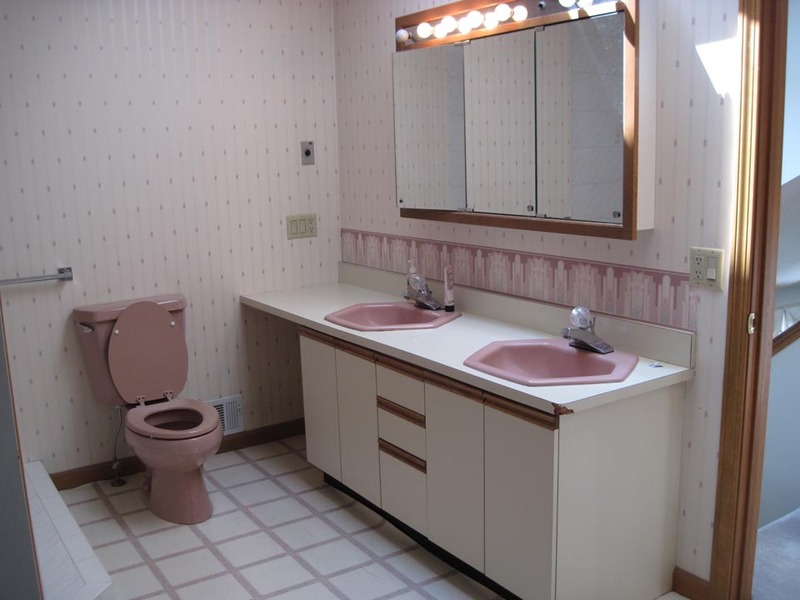 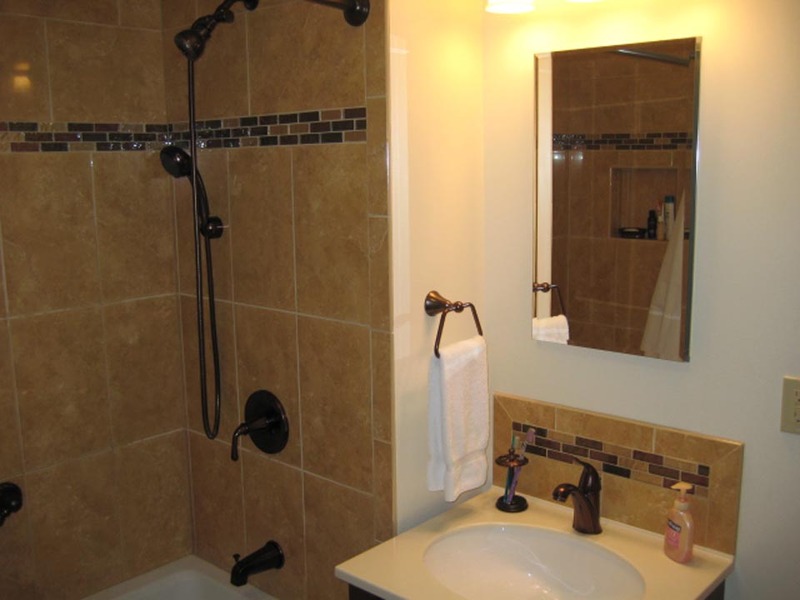 Your bathroom is the place you both start and end your day. 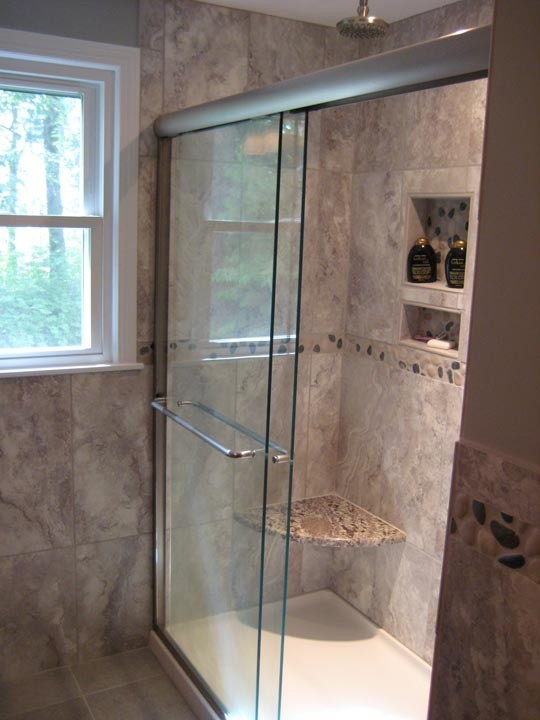 It is where you refresh yourself in the morning and where you come home to relax from a long a day. 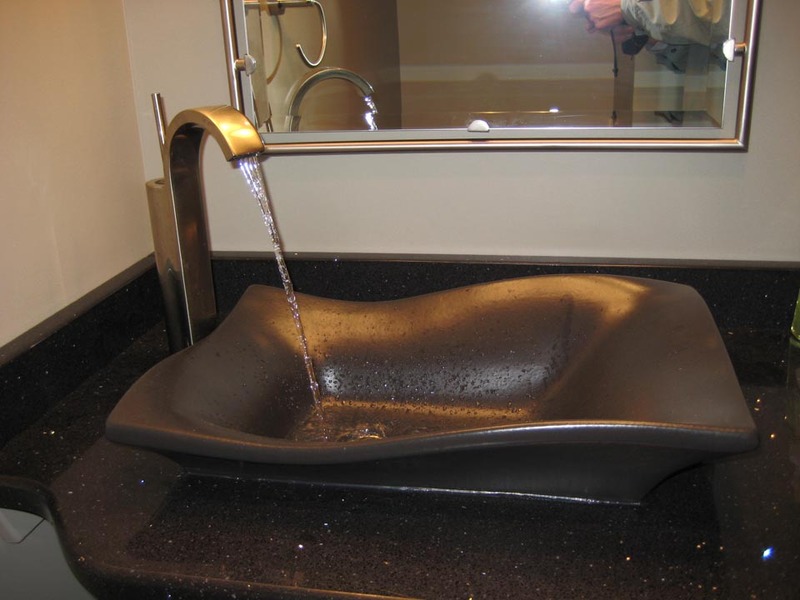 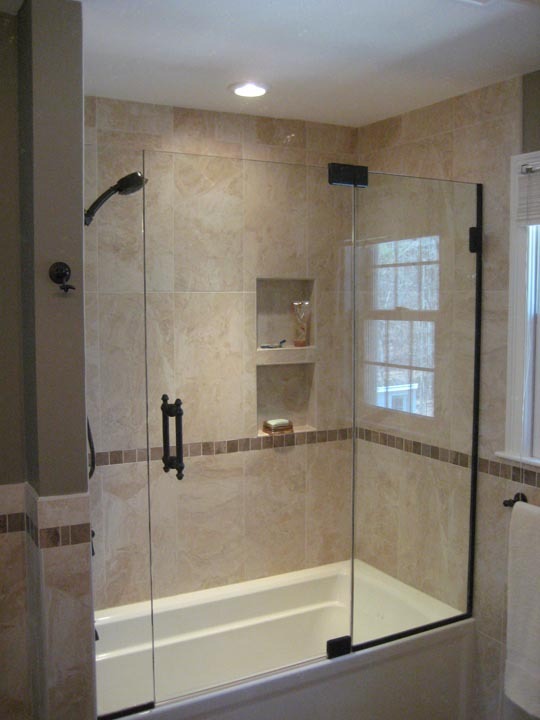 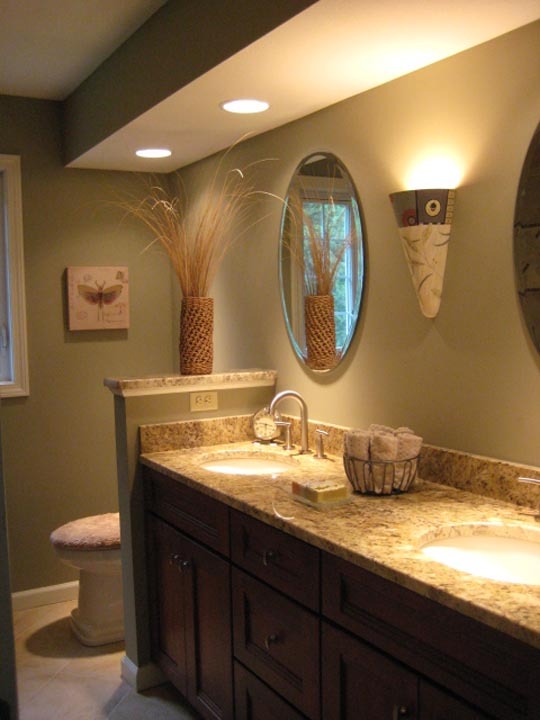 Your bathroom can be a Spa-like retreat, an underwater adventure cave, or a natural waterfall oasis. 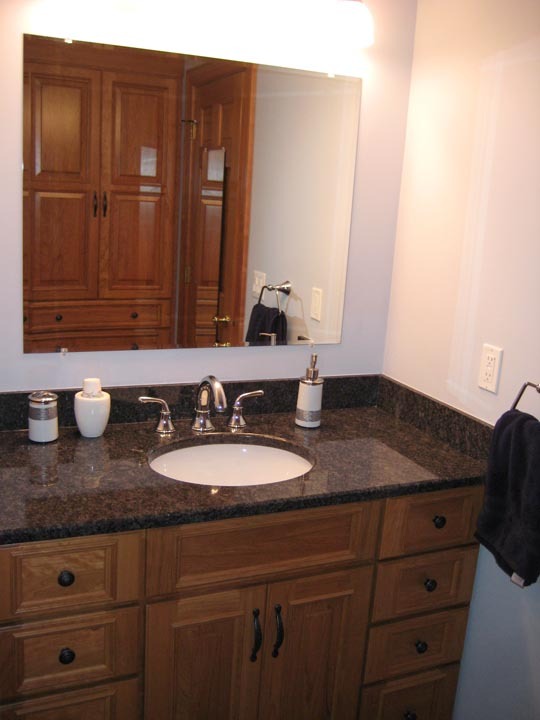 Whatever you desire our staff at Interstate will work with you to bring it to life. 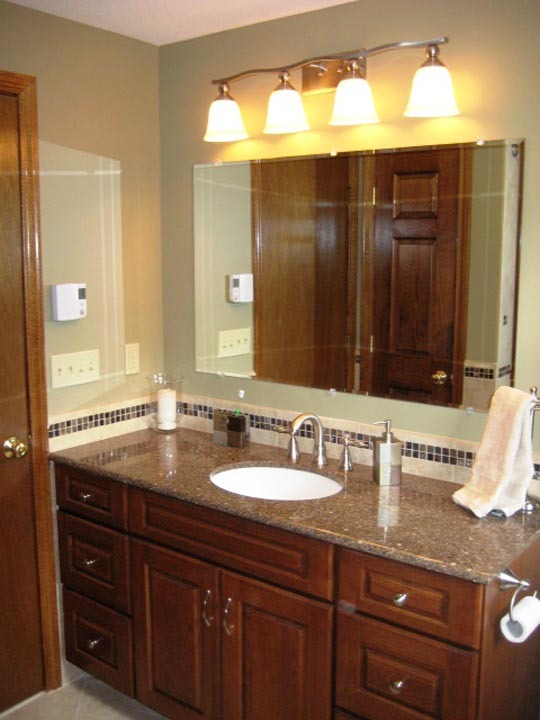 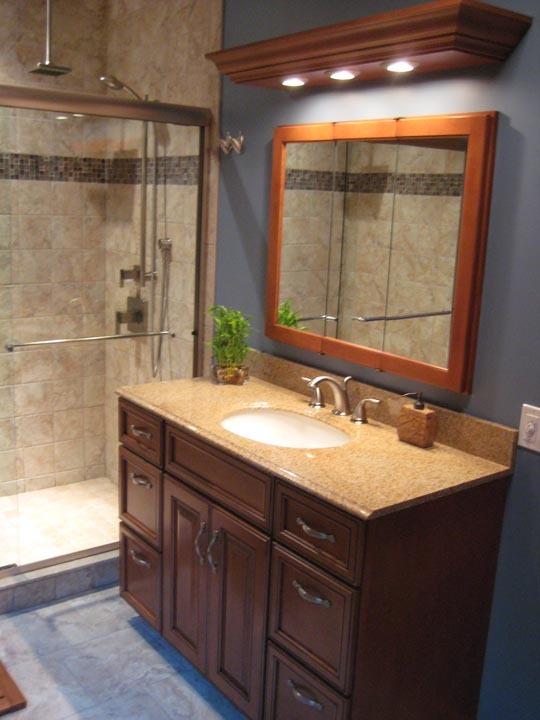 Whether our client is considering a Master Bathroom, Main Bath, or Powder Room, we at Interstate will work with them to meet their needs. 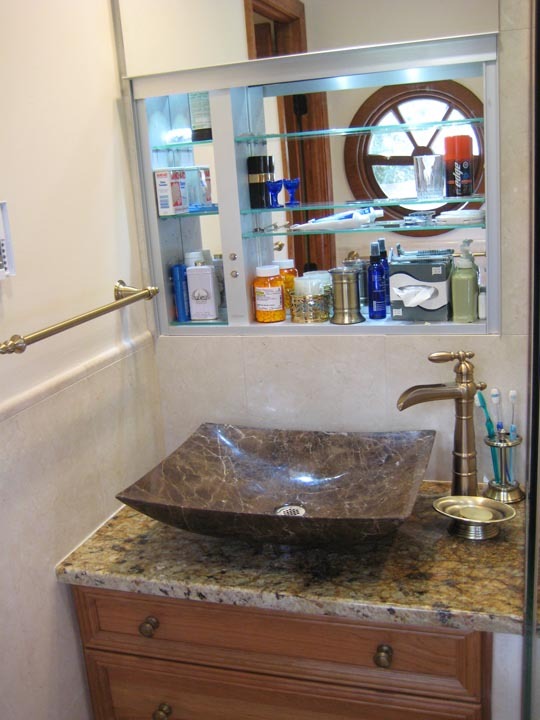 Our goal is to create both function and beauty in a small space that works very hard. 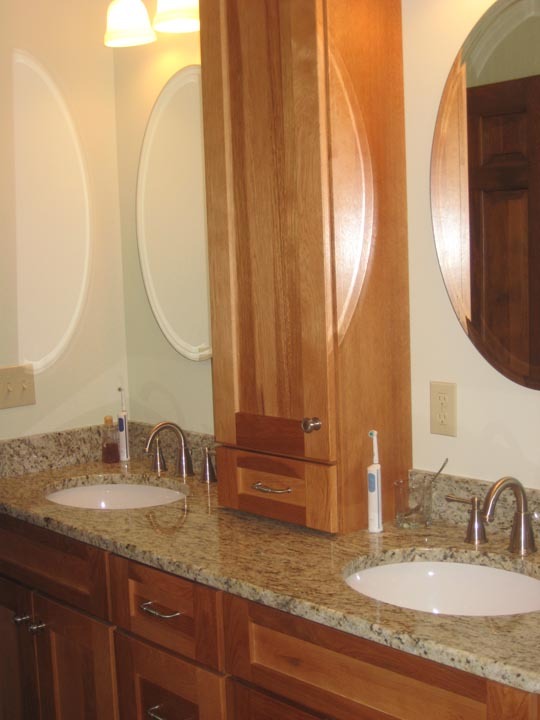 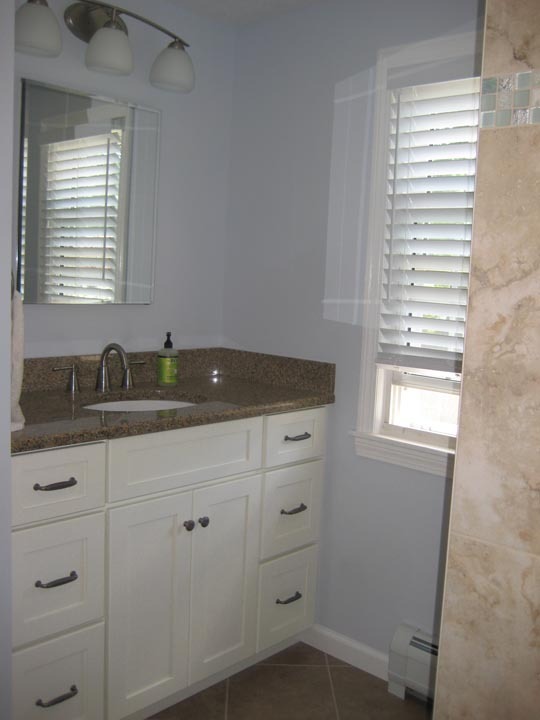 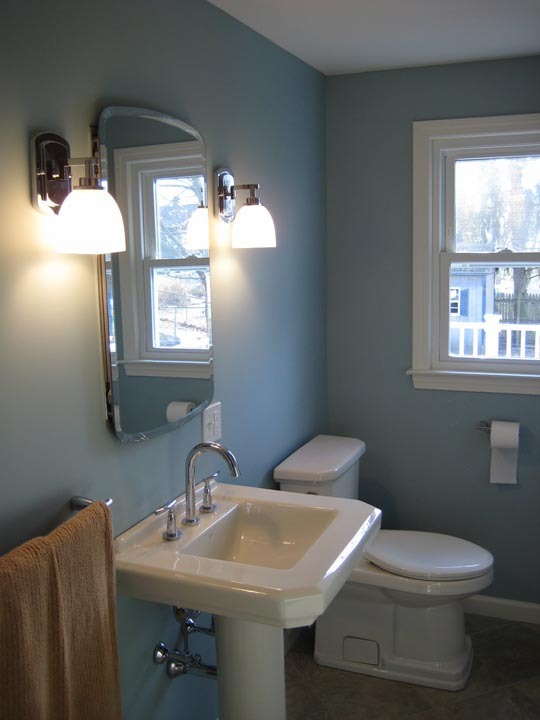 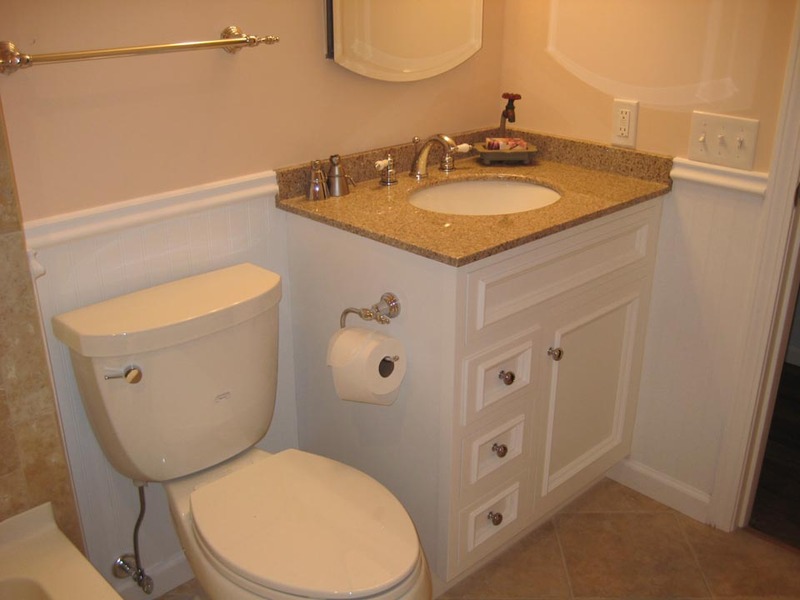 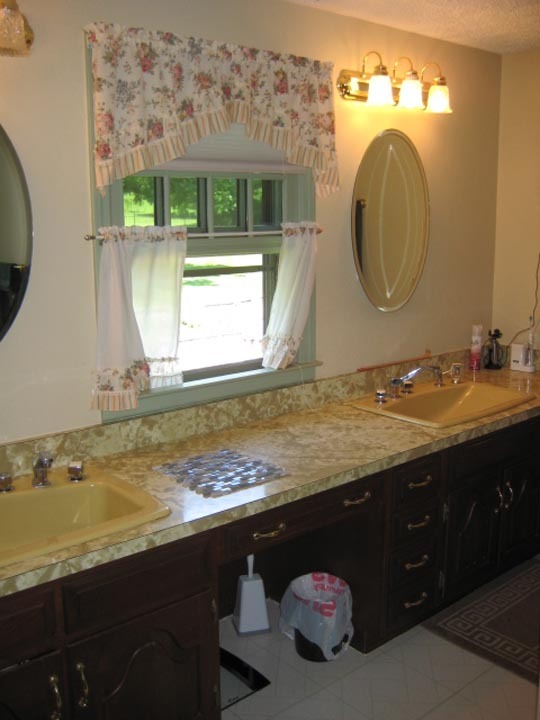 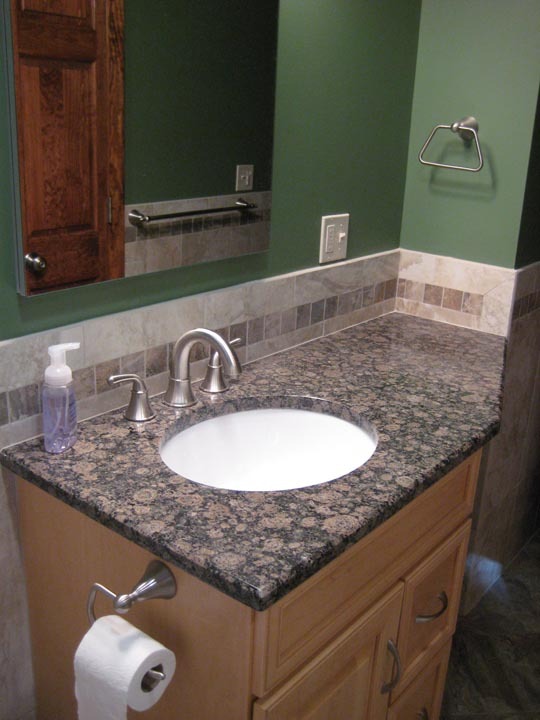 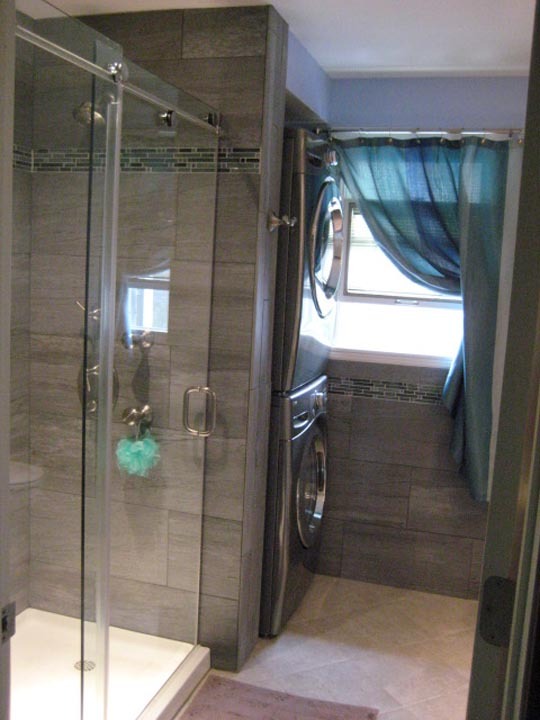 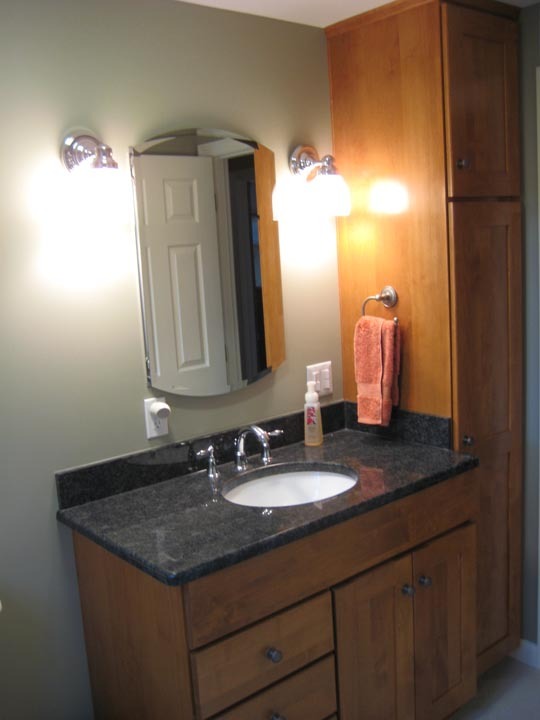 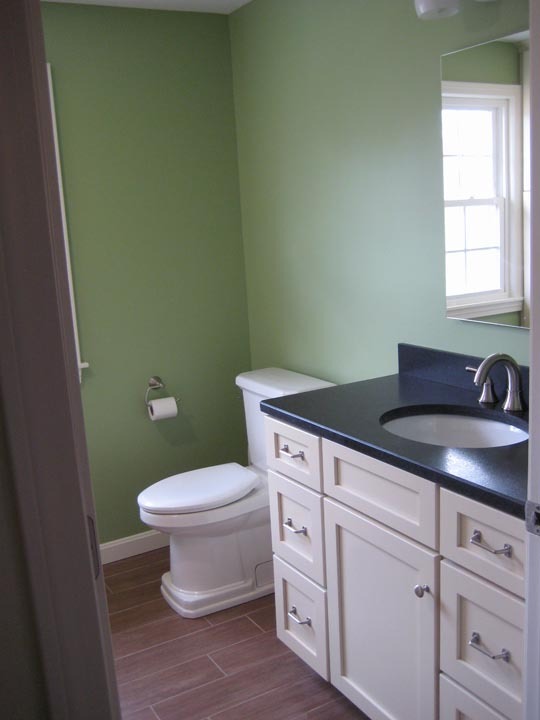 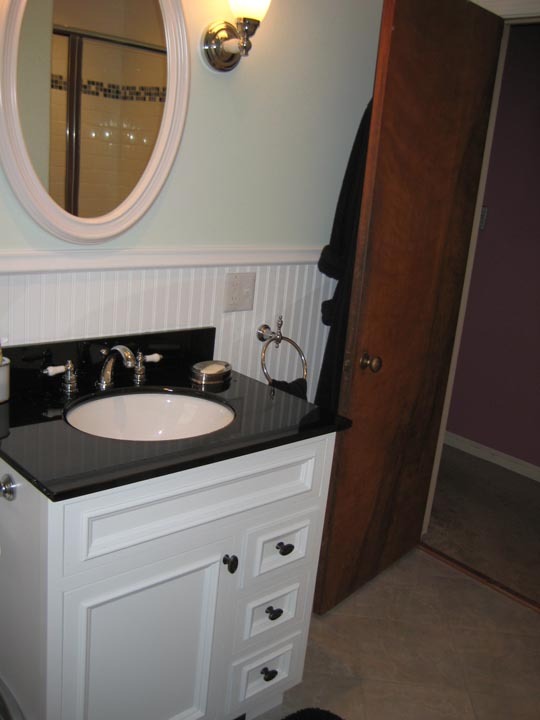 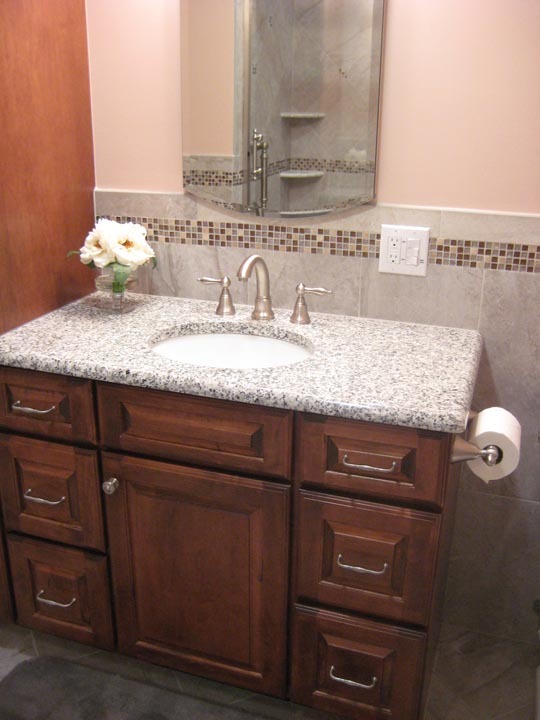 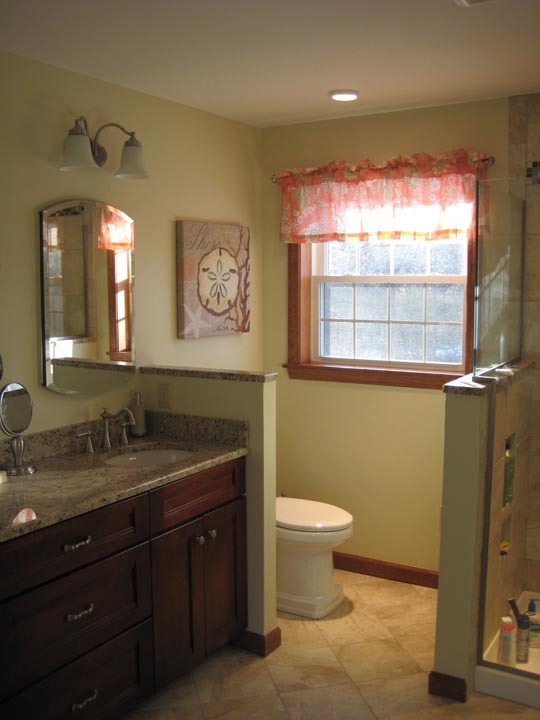 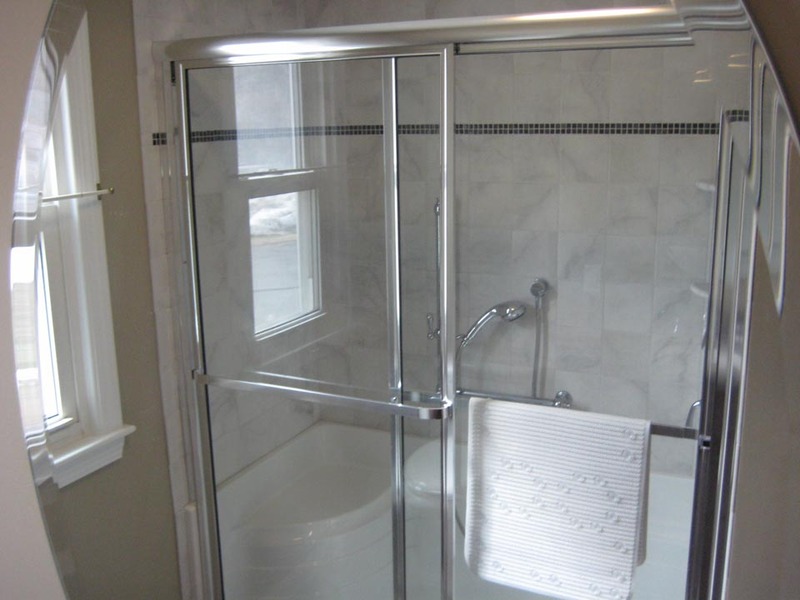 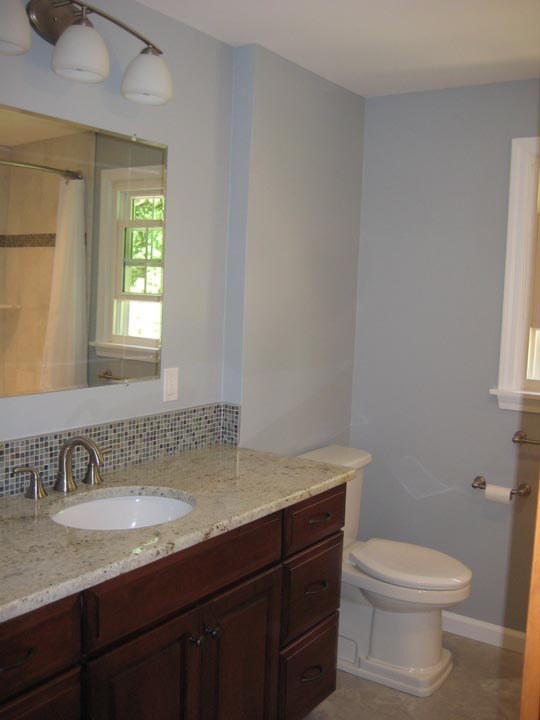 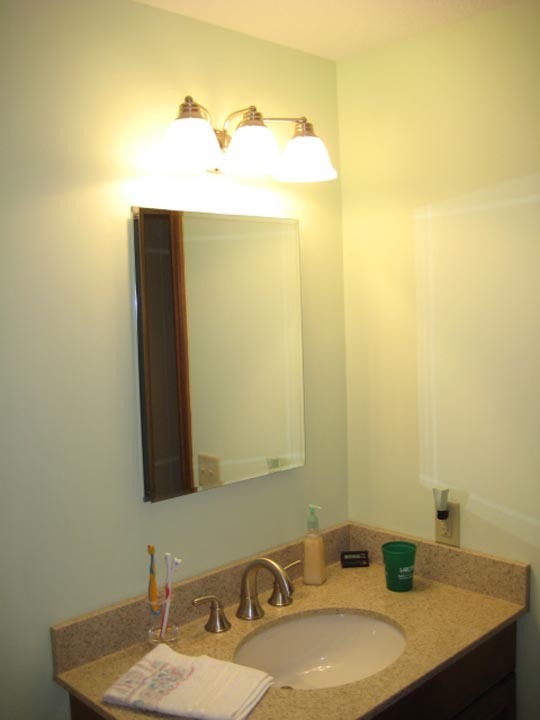 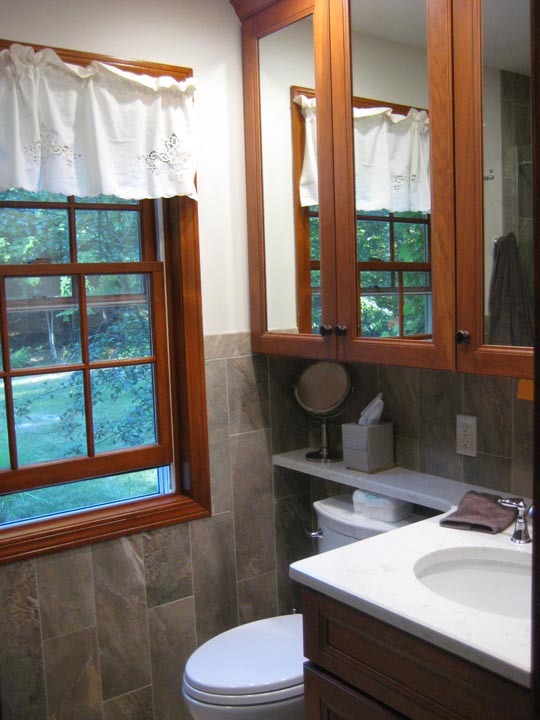 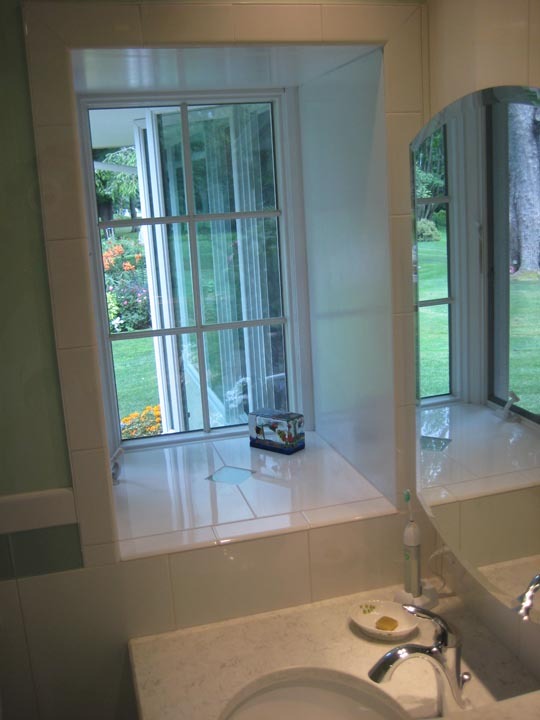 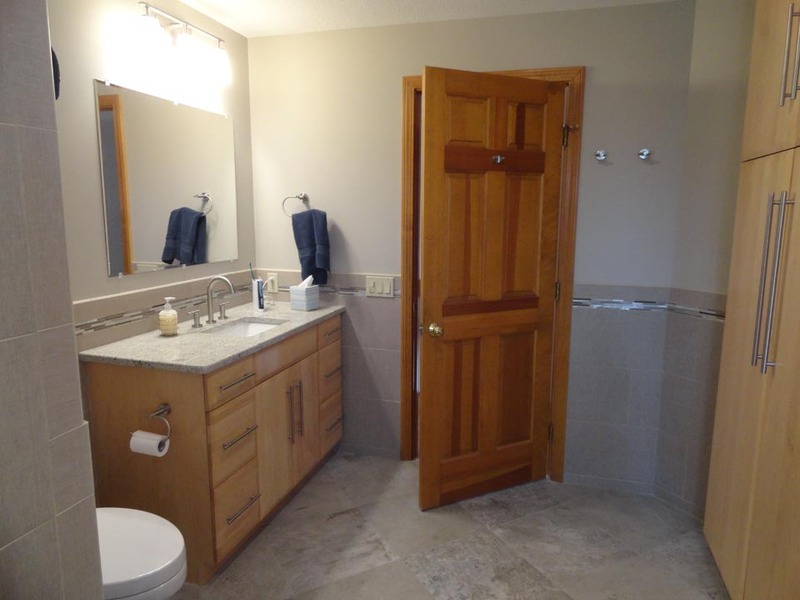 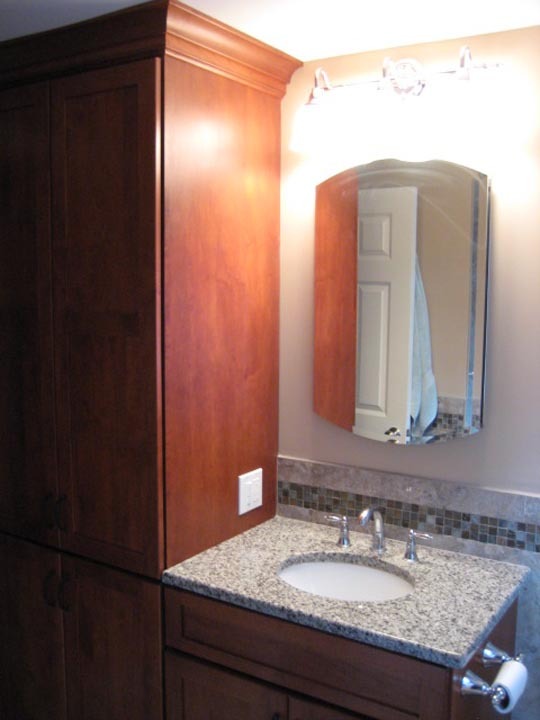 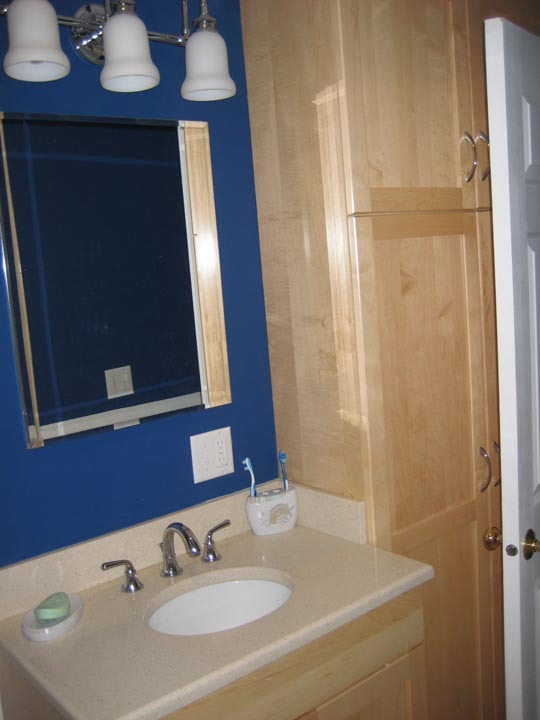 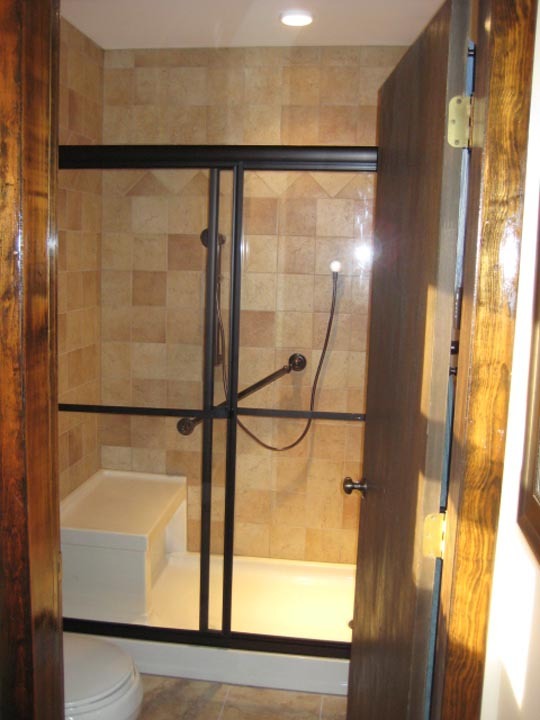 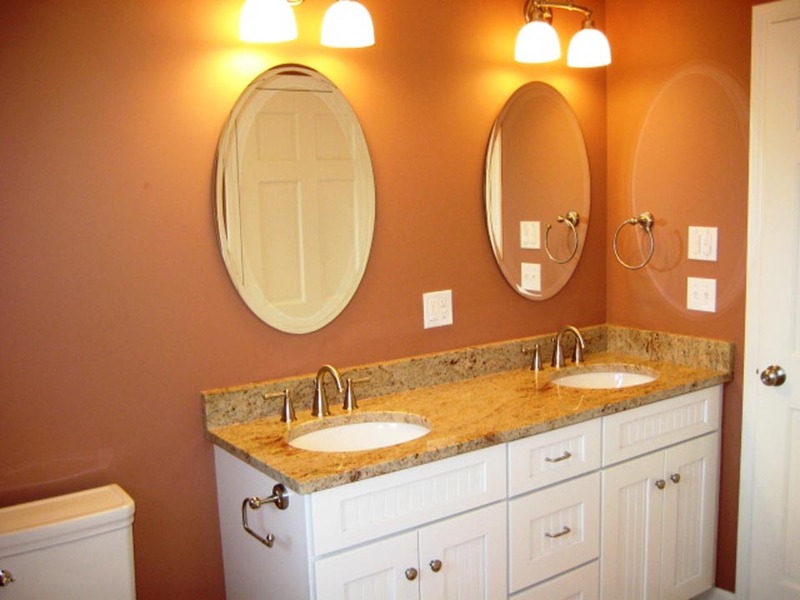 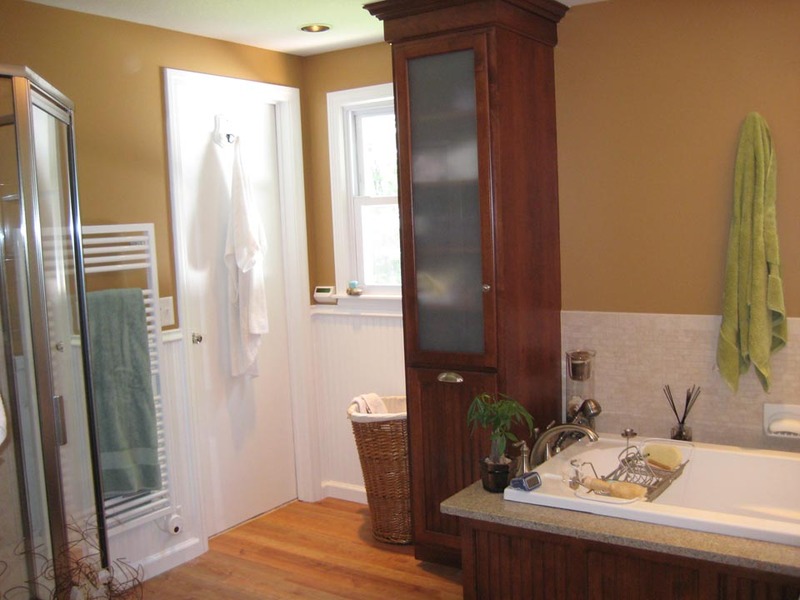 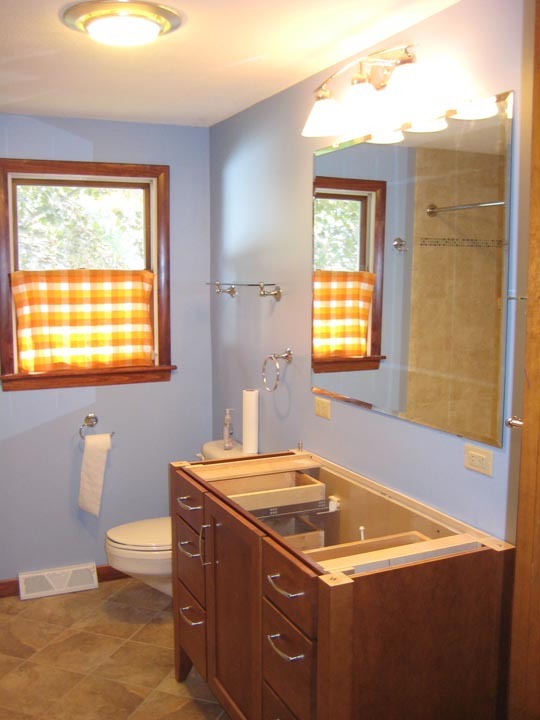 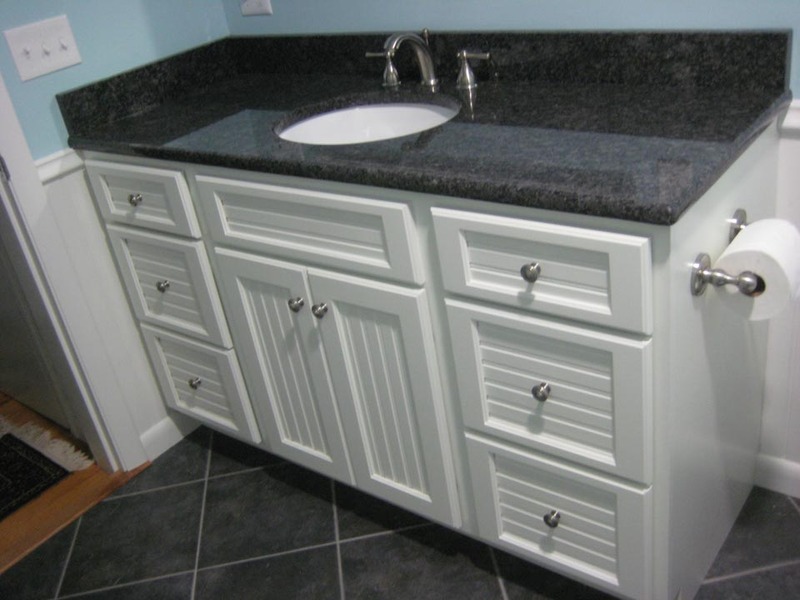 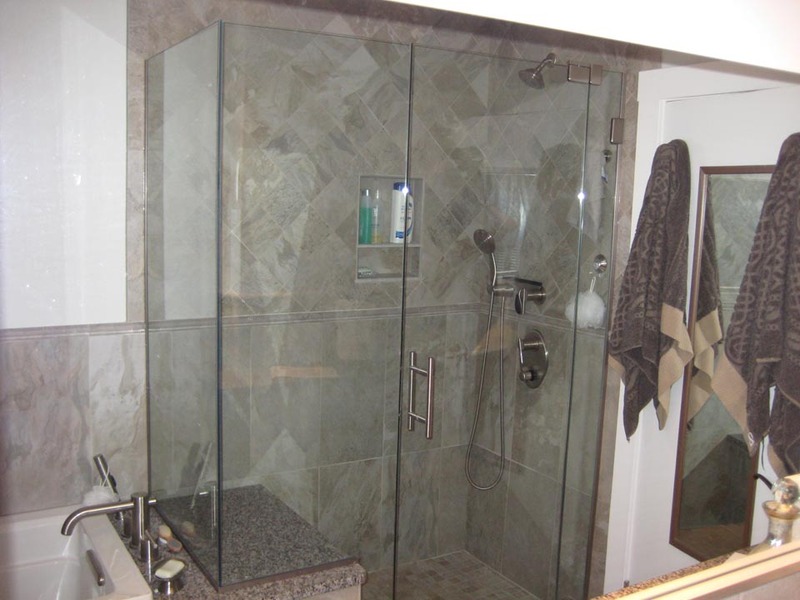 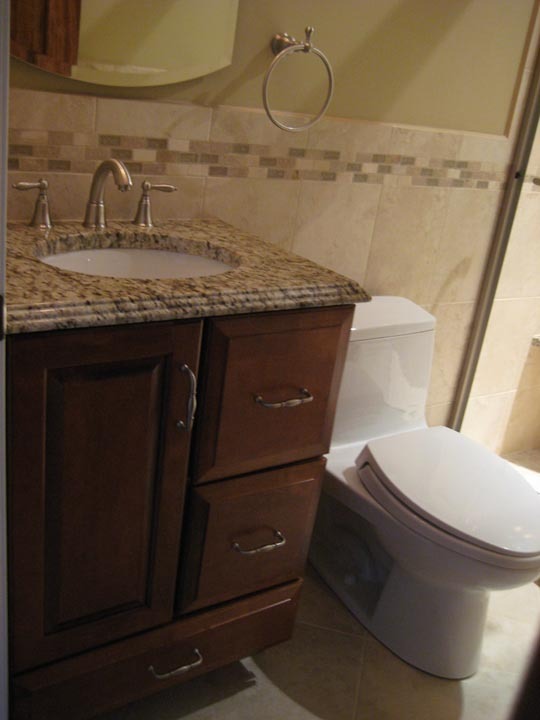 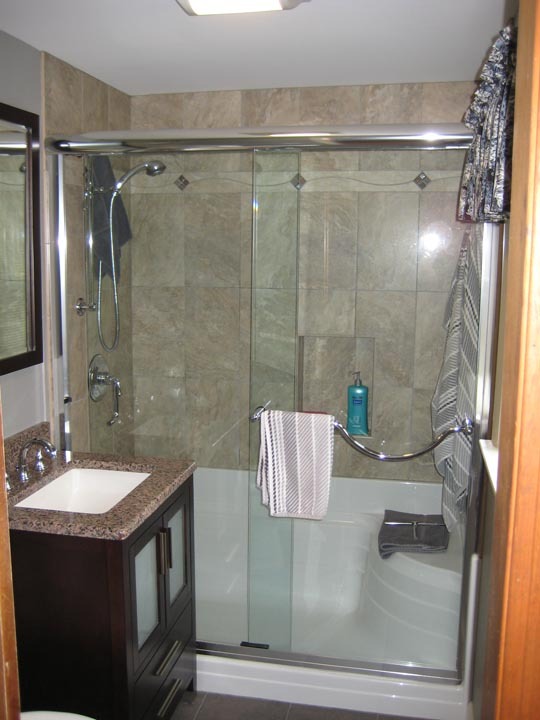 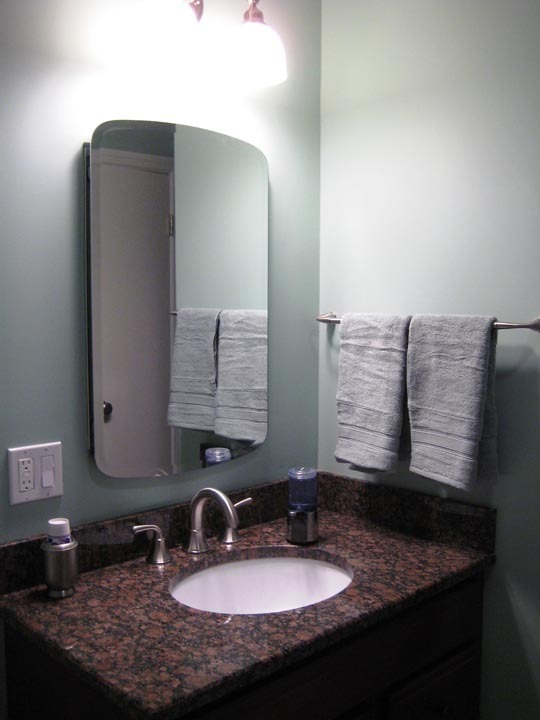 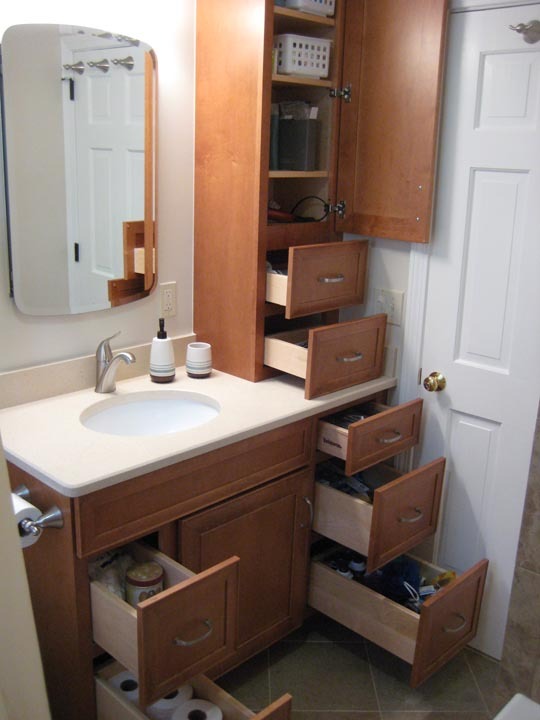 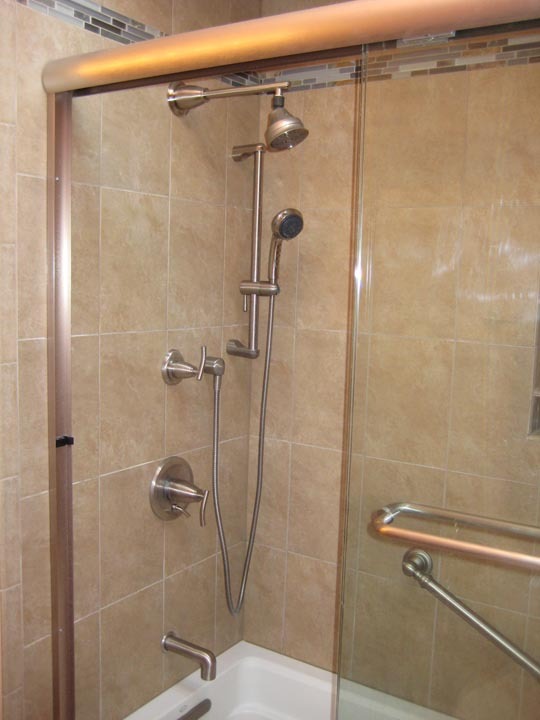 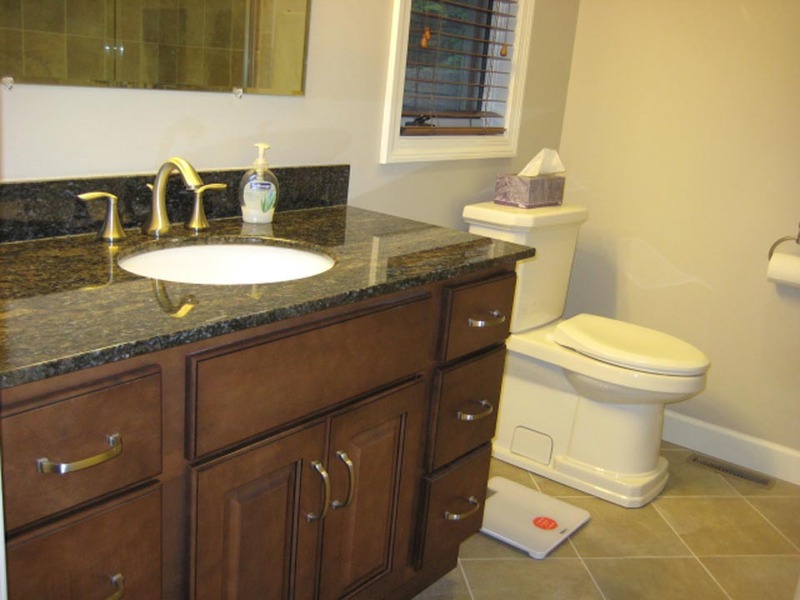 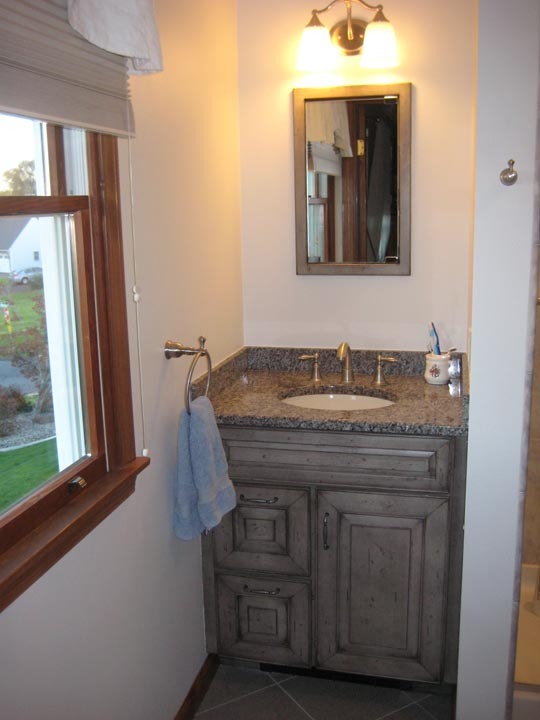 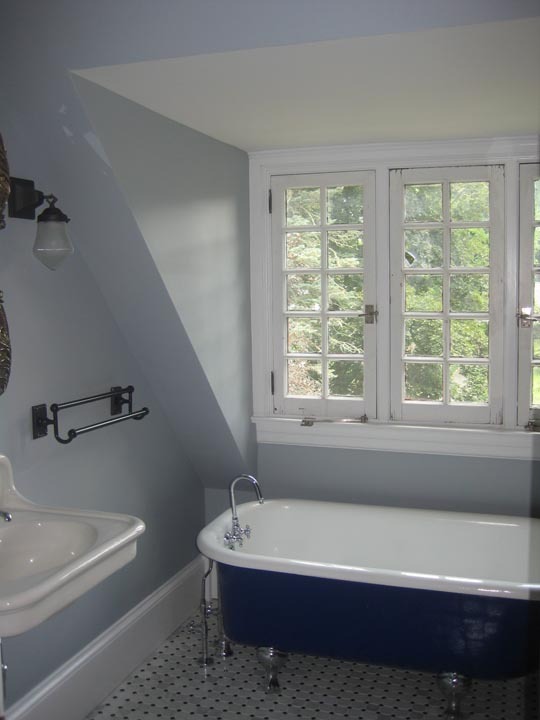 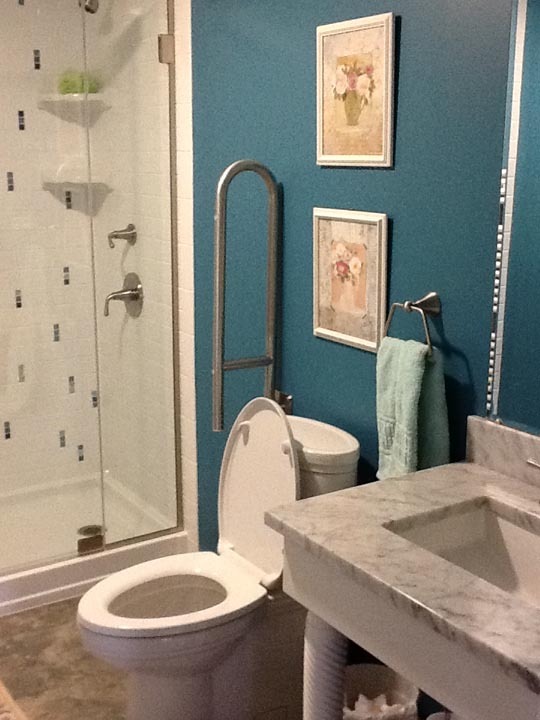 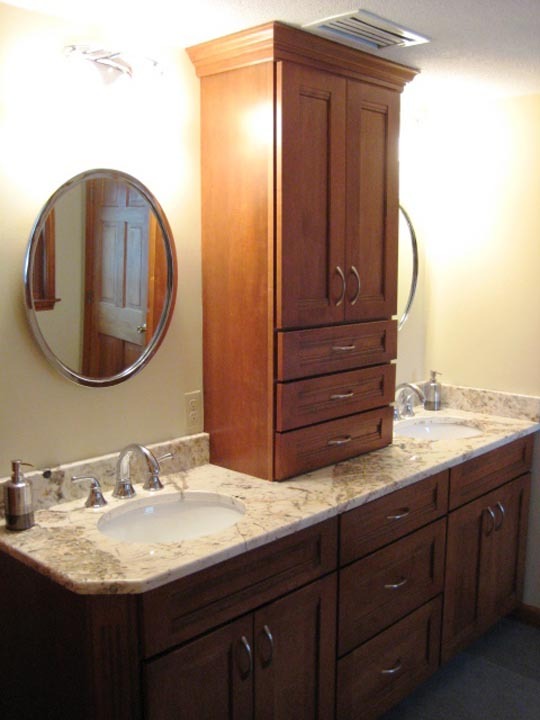 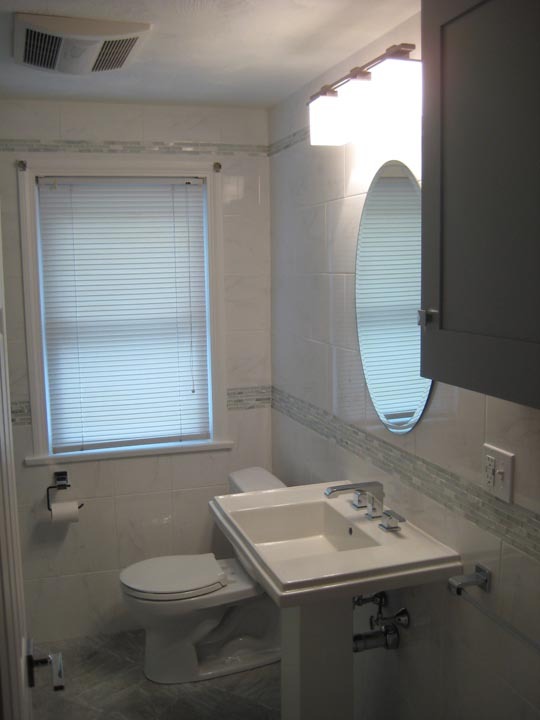 Bathrooms come in all shapes and sizes, but here in New England many are considered “small.” No matter the size, we take the time with our client to turn it into the space they desire. 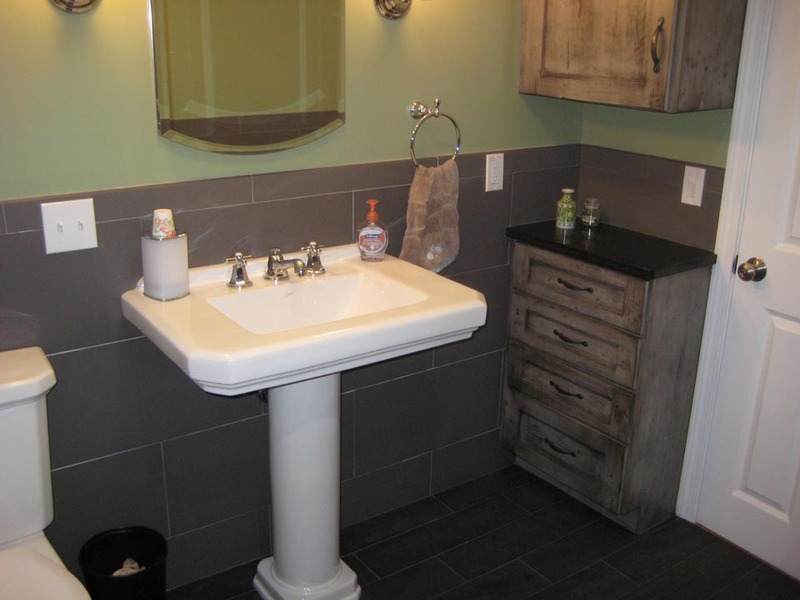 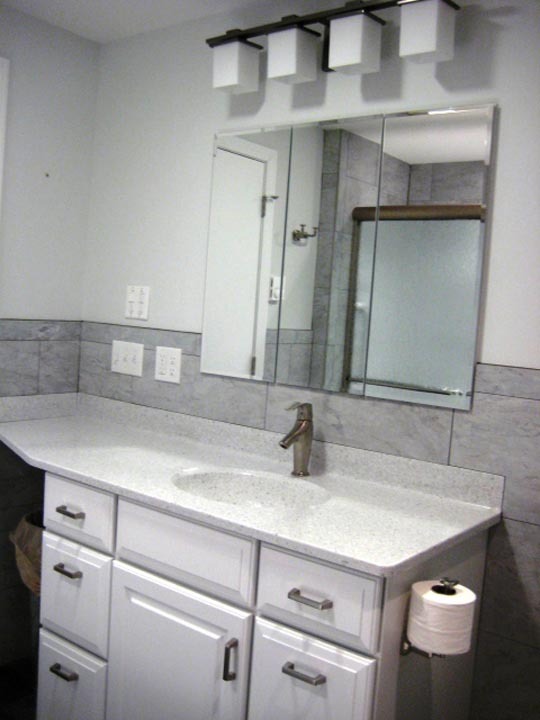 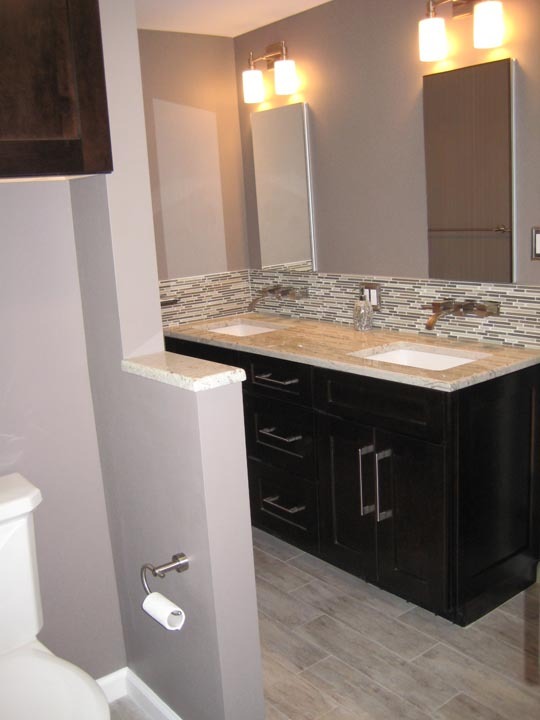 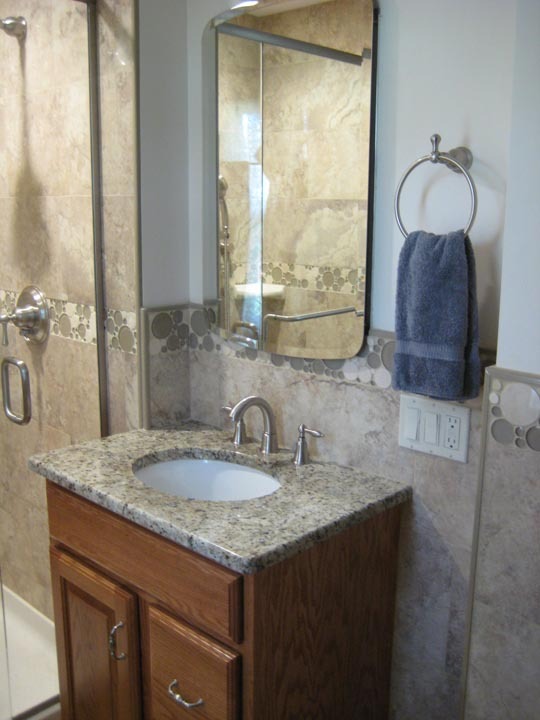 Whether you are looking to expand the size of your bathroom or keep the initial foot print, we help our client select product and various materials to make the space uniquely their own with the function they desire.